LOS ANGELES • Despite his sorrow over the death of his 94-year-old mother Marcella, Nick Nurse was comforted in the knowledge that she had lived long enough to see him finally land his first head coach appointment in the National Basketball Association (NBA). He had been an assistant under Dwane Casey for five seasons before rising to the top job in the summer, when the Toronto Raptors fired his predecessor after last term's Eastern Conference semi-final loss to the Cleveland Cavaliers. Marcella saw him toil and work his way up the ranks in Europe and in the NBA's developmental league, and one of her proudest moments came in June when her son made it to the big time. She told the Daily Times Herald then: "The anticipation was just something you wouldn't imagine." The work ethic she had instilled in her son was why Nurse sat courtside on Tuesday at the Staples Centre, just a day after she died in Carroll, Iowa. 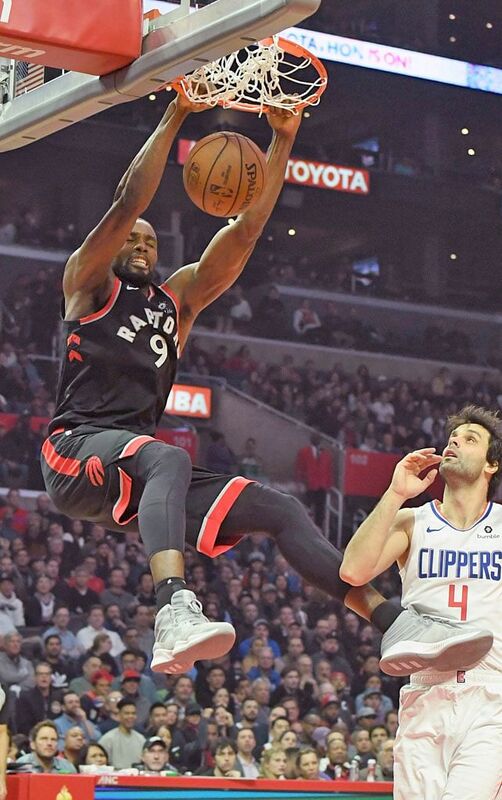 The Raptors' 123-99 win over the Los Angeles Clippers, improving their league-leading record to 22-7, was all the more impressive as they were without the injured Kawhi Leonard, their leading scorer this season. Nurse had flown to Carroll to be with his family and, according to the Los Angeles Times, will be paying his home town another visit this week after the Raptors visit league champions the Golden State Warriors. But at no point will he be taking a breather from his coaching duties because "my mother wouldn't want it any other way". She had a big impact because she had nine of us and I was the last one. Lots of games - 94 years, nine kids and about 80,000 games watched are her final stats. 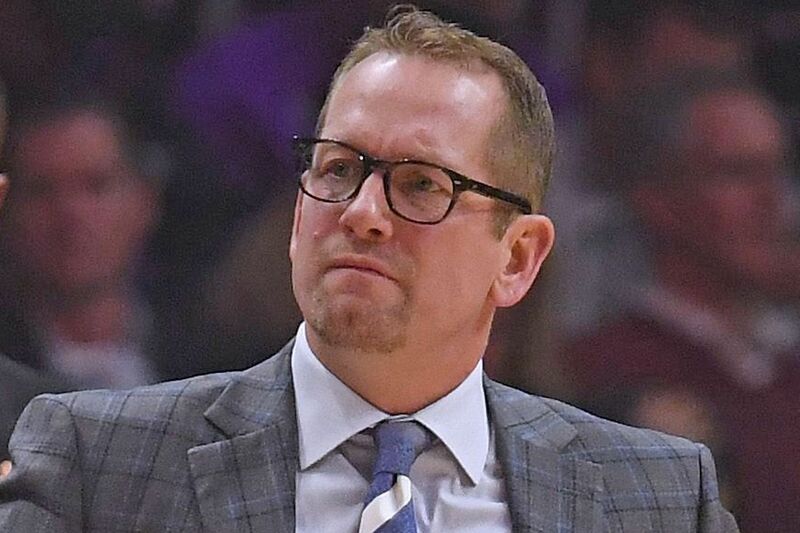 NICK NURSE, Toronto Raptors coach, paying tribute to his mother Marcella who died on Monday. He told reporters: "I'll coach the game, and then I'll coach the next one tomorrow, and then we'll go back and take care of business. "She had a big impact because she had nine of us and I was the last one. Lots of games - 94 years, nine kids and about 80,000 games watched are her final stats." The 51-year-old also revealed to the LA Times that it had been cathartic for him to be at the game, saying: "It was a pretty relaxing game for me. Before the game, I told the team, 'There are a million ways to win a basketball game. We've got to find one'. "After the game, I said, 'There are a million ways to win a game and that's No. 1'." Kyle Lowry was similarly inspired to snap out of his offensive funk. The four-time All-Star had gone four from 28 in the Raptors' past four games - his joint-worst period of his career, matching a stretch in his second NBA season with the Memphis Grizzlies in 2008. After going point-less in Sunday's loss to the Milwaukee Bucks, the guard vowed to "look at the (post-game) film" to see how he could turn things around and improve he did, contributing 21 points as the Clippers (17-10) fell to their biggest loss of the season. Lowry, whose side were paced by 25 points from Serge Ibaka, later claimed it had been "time for me to step up and play".